I spent the past couple of days in the most lovely town of Asheville, NC. It was all about tango (We went to Tango Gypsies' Regional Weekend with special instructors Daniela Pucci and Luis Bianchi, but of course, a girl's gotta eat. I think DH got the full-on pain of having me photograph my food more than eat it for the first time...until now, for some reason, he's never really paid attention. But there was a lot of pretty food this weekend!! We arrived Friday night and after a tango lesson that defeated me (it was all about the guys giving the women space to do their moves: I'VE GOT NO MOVES YET), we headed across the street to a place called Olive or Twist (heh. cute, right? Get it? )...I really wanted a glass of wine--and got one. The tiniest glass of wine I've ever seen. In the nicest way, G asked about it, and the guy insisted it is 6 oz. ...hm. I'm not saying it wasn't, but my job is to measure things going into recipes, and I am pretty good at measuring without using a measuring cup (no, I don't do that when I'm writing a recipe, don't worry), and if that was 3/4 of a cup? Just saying. Allegedly and all that legal stuff...It was allegedly 6 ounces. I digress. That aside, I am pretty sure those were hand-cut fries with G's sandwich, so: Awesome. Anyhoo.We quickly headed back across the street for dancing. Always. Fun. Saturday morning we had to return to a spot we'd visited on our first trip to Asheville, Tupelo Honey Cafe. They always have a crowd, so they hand you a buzzer and offer you free coffee to sip while you wait: nice touch. Best Beignets with Honey and Almonds. Best Servers, too--just didn't get a photo. Then? Why, more dancing, of course. We had three hours of lessons with Daniel Arredondo from Passion for Tango Charlotte (well, Argentina, but he now lives in CLT). Then a practica (informal dance where you get to talk about steps, practice them, ask questions, allow your partner to offer suggestions)...then off to find dinner. We headed out with a list of places and stumbled across Salsa's, where a line had already formed...tiny little place, but we were hungry and it looked good. Margarita. Yes. It was called Perfect Margarita. Apt name. Yet another lesson that confused me no end...engage my hips, relax my back. I am not so good at that...but we actually learned the "close embrace" which hopefully will help me be a better follower. Jury is out on that one. Saturday night ended with a 9 to 2 a.m. milonga (the more formal dance where you should never ever ever correct your partner or offer advice--that's a milonga no-no), danced as much as we could, enjoyed a free chair-massage in between dancing, watched a dance demo with the instructors that was awesome, funny, clever and so cool (tango to Jason Mraz "I'm Yours" was so awesome--I'm doing that next). Who knew we'd be heading out to dance until the wee hours at this age? a 60-minute run (still in training after all). Then a walk around town to check out the art fair (lovely, local crafts) and back to dancing to a live orchestra, the Asheville Tango Orchestra, which was such a treat. then got to visit with an old friend, someone I hadn't seen for years, but just found on Facebook last week. A little bit of serendipity put us in the same little mountain town on the same Sunday in May for just a few hours to trade hugs, stories of kids growing up and notes on plans for the future. It was a good weekend. In food, friends and fun. Amazing photos especially the margarita! Wonderful photos ... but you're making me hungry! Beautiful. I'm hungry (and thirsty!) now. And the dancing looked fun, too! 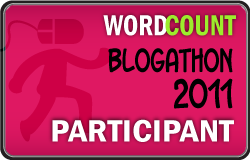 Hope you continue to enjoy Blogathon.